WBS - Work Breakdown Structure is a fundamental project management technique of decomposition of the project into deliverable parts. 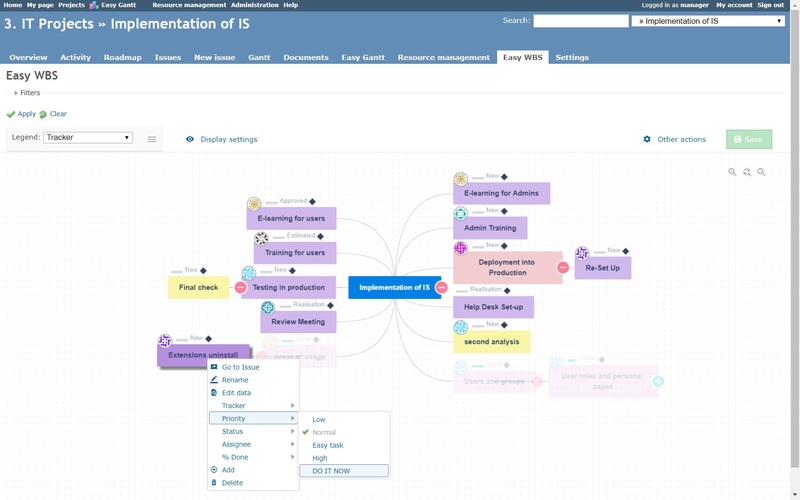 Work Breakdown Structure plugin visualizes project tasks in mind map view and enables you to easily create project structure - decomposition of the project. 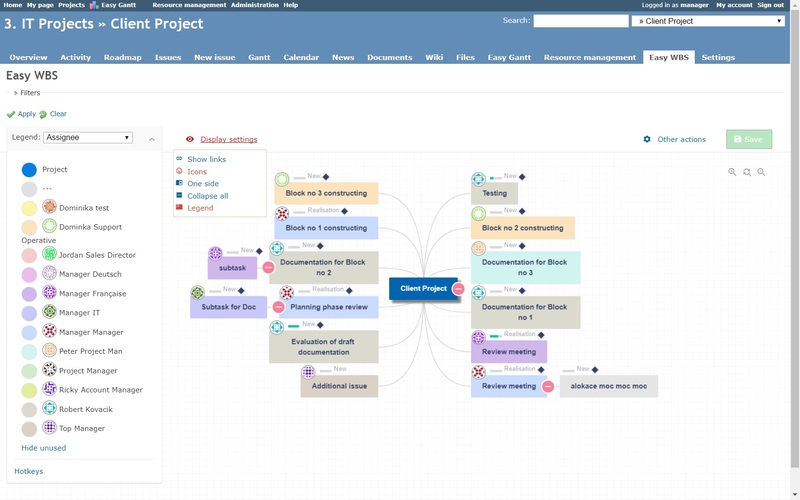 In WBS, you can create project tasks while seeing the structure of whole project. 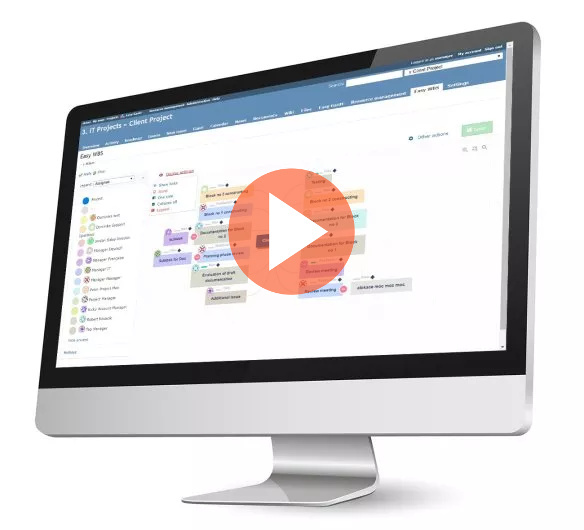 Redmine WBS plugin is the best tool for project planning and management in Redmine - give it a try. It's compatible with Redmine v3.4 already.